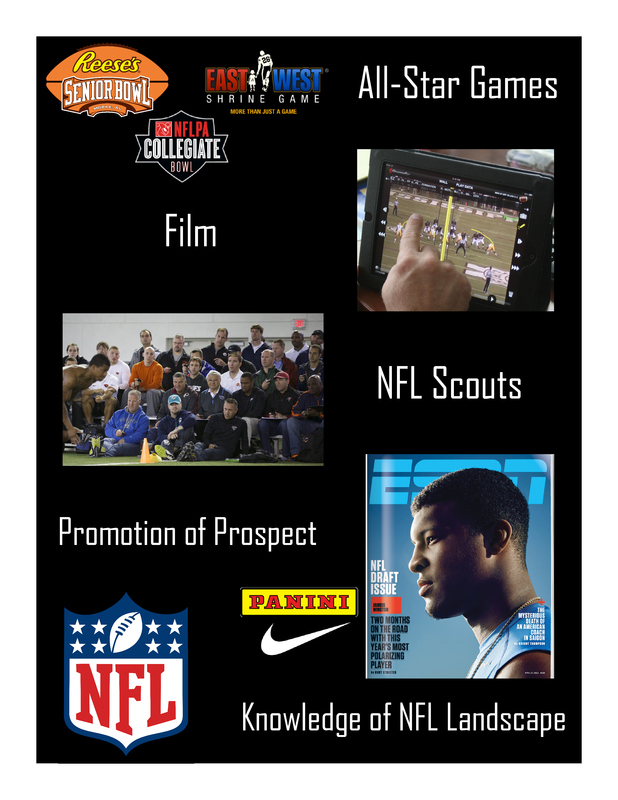 When it comes to off the field marketing dollars for NFL prospects or players there isn’t a lot of money or opportunities compared with the amount of players or prospects. In terms of marketing the dollars and opportunities go to the skill players (Quarterbacks, Running Backs and Wide Receivers) and some top level defensive players. NFL Players Inc., the licensing and marketing arm of the NFLPA has done a nice job getting group licensing deals done that involve all current active NFL players. They work with companies like EA Sports the does the popular Madden Football Video game and many other companies. But then there can also be some more creative deals to make dollars like getting paid to “Tweet” working with a company called Opendorse that is licensed by Players Inc. and the value of your “tweet” depends on how many Twitter followers you have. Our a player can make additional money by having their own online t-shirt store with another licensed Players Inc. company 500 Level. But be careful not to be fooled about how much money NFL players make off the field, it might not be as much as you think. According to Opendorse Top 100 Highest-Paid Athlete Endorsers of 2016, which used Forbes World’s Highest Paid Athletes as their resource – here are the top 15 paid NFL players in terms of endorsement earnings. So just know that just because a player is in the NFL doesn’t mean that he is making a ton of money off the field in endorsements. Yes there are ways to be creative and find different avenues for off the field dollars but the main part of a players income will come from his contract with his team. Do NFL Players/Prospects need an NFL agent? A lot of talk about this subject came on when Seattle Seahawks Offensive Tackle Russell Okung wrote the article “Betting on Myself” for the website The Players’ Tribune before the start of NFL training camps kicked off this summer. In the article Okung talks about how he will be going into free-agency without an NFL Contract Advisor (Agent) and the reason he is doing that. Okung was drafted with the 6th overall pick in the 2010 NFL Draft by the Seattle Seahawks. In this past NFL Draft we saw that there were three players that where drafted without an agent. OT Ereck Flowers out of Miami (FL) who was the 9th overall pick by the New York Giants. CB Alex Carter out of Stanford who the 80th overall pick by the Detroit Lions. Carter father is former NFL CB Tom Carter who was a first round pick and now works for the NFLPA. TE Gerald Christian who was the last pick in the draft by the Arizona Cardinals, but since the draft has hired an NFL agent. So can you get drafted without an agent – ABOSLUTELY! But if you don’t have an agent you are the one marketing yourself to the NFL teams and negotiating your NFL contract since only the player or a certified NFLPA contact advisor can do. One thing of the first things to do when talking with an “agent” is ask them if they are NFLPA certified if not you are dealing with what is called a “runner” and someone who can’t negotiated an NFL contact on your behalf. Marketing your film and skills to all 32 NFL teams: There is time and effort an NFL team is more willing to give their true opinion of a player to a 3rd party rather than the player themselves. Protection: Let say you get injured in a practice or a game you want to have someone there to protect your best interest against the team, with second opinion as well as injury settlements or grievances. Remember the NFL is a business when it is all said and done. 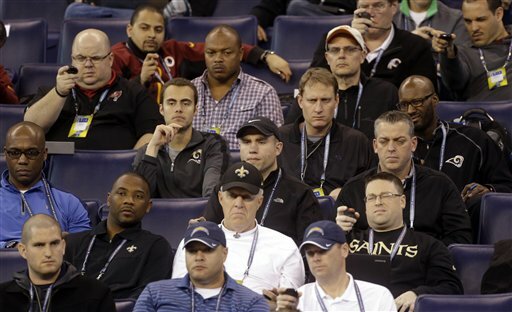 Sound board: An NFL agent should know the NFL landscape and be able to give an educated opinion on all 32 teams and how you would fit in the draft or free-agency with a particular team. As well as being able to give guidance and advice on other business and life matters. Contract Negotiations: An NFL would rather negotiated with someone other than the player and an agent job is to get the best deal for the player but yet the agent doesn’t play for the team so things that a team can and will say to an agent they most likely won’t say to a player. True a player can save money by not hiring an agent, but one thing that a player needs to know is that their agent fee is tax deductible. So having an NFL agent is an advantage but as a player you need to find the right one for the long term. There are many agents out there and a lot of them only selling point to a player is the imitated cash value (money, training, etc.) that they can provide so you as a player need to understand the true value of hiring an NFL Contact advisor. Author Justin VanFulpenPosted on October 15, 2015 October 29, 2015 Categories NFL DraftTags agents, Alex Carter, College Football, Ereck Flowers, Film, football, Gerald Christian, Justin VanFulpen, NFL, NFL Combine, NFL Draft, NFL Prospect, NFLPA, Russell Okung, scouts, Tom CarterLeave a comment on Do NFL Players/Prospects need an NFL agent?